I know it’s been all Christmas, Christmas, Christmas around here but… how about a little New Year’s Eve fun too!? 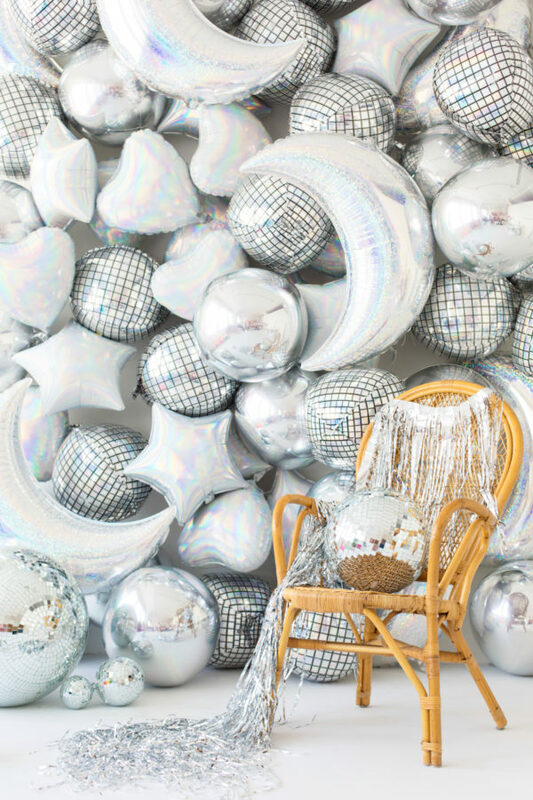 When we were shooting all our holiday balloons a few months back we put together this DIY holographic balloon backdrop that would be P-E-R-F-E-C-T for a NYE bash!!!! Imagine all the fun photos!! Eeep!